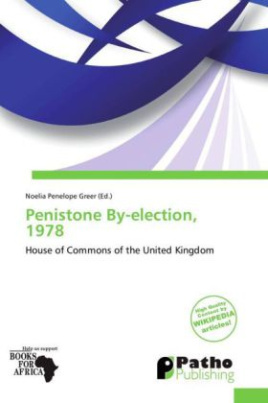 A by-election was held for the British House of Commons constituency of Penistone on 13 July 1978. The seat had become vacant on the death of the Labour Member of Parliament John Mendelson, who had held the seat since a by-election in 1959. The House of Commons is the lower house of the Parliament of the United Kingdom, which also comprises the Sovereign and the House of Lords (the upper house). Both Commons and Lords meet in the Palace of Westminster. The Commons is a democratically elected body, consisting of 650 members (since 2010 General Election), who are known as Members of Parliament (MPs). Members are elected through the first-past-the-post system by electoral districts known as constituencies.